Lorena Angulo: My First "Nicho" is Finished ! 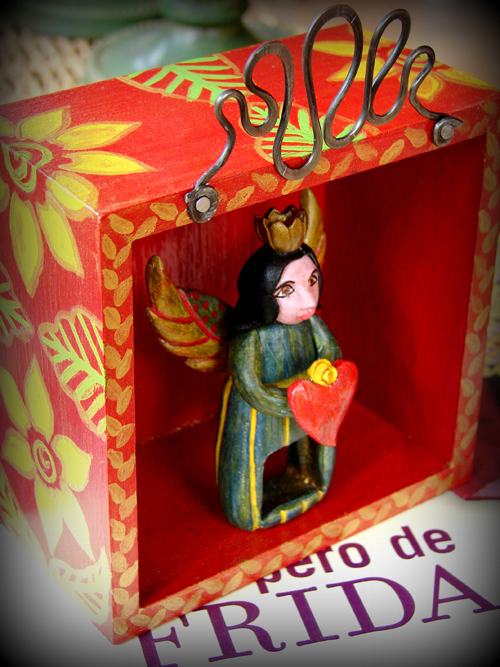 A couple of days ago I started painting some wood boxes to make new homes for my figurine rings I made last year. They needed a perfect display for them and instead of looking for something made already, I decided I will make them their perfect home. 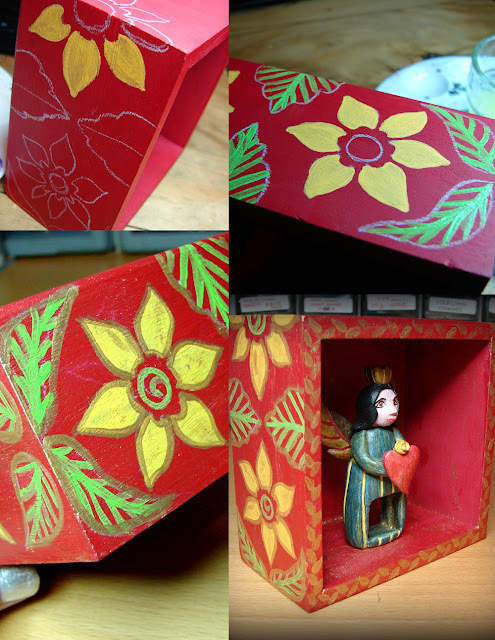 I forgot how much I enjoy making folk art, painting the boxes made me realized my big love for this form of art. Every minute I have spent making them is full of joy and wonderful memories of my country. I will be making more than eight nichos in total but I may make more. 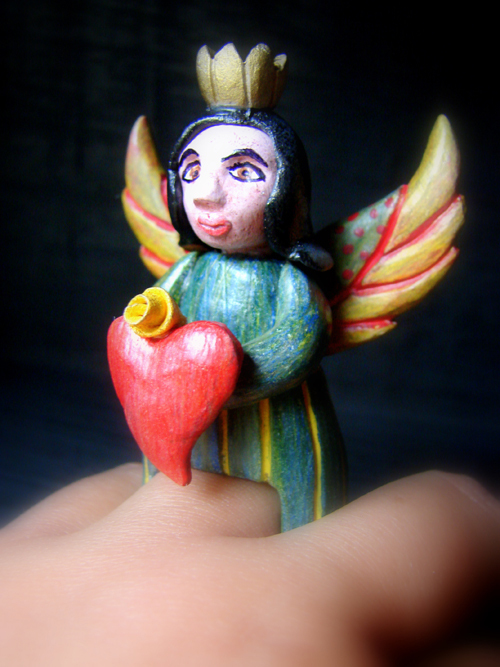 This is the first one I have finished and it was inspired in my Angel ring. 3.13" x 2.10" x 1.37"
I first painted the wood box in red and started drawing free hand some flowers and leaves. While I was painting my box I started talking an online workshop with the amazing Keith Lo Bue to learn how to work with steel wire. I took a class with him in Houston already but I knew this new workshop will be incredible and I am having a GREAT time. During the first couple of videos, we had to start playing with a piece of wire to practice and when I saw the piece of wire I knew what I could do with it, instead of just leaving that in a box of "practice" pieces. 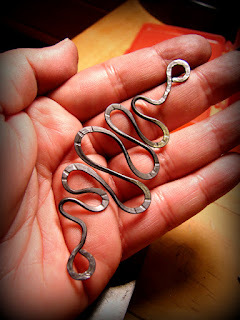 I grabbed my stamping tools and added some stamps in my piece. I played a little more with it and adapted the design to my box. Yes, I added some metal into my "Nicho" and I am super HAPPY at how it makes my nicho more ME !! Beautiful!!! I cannot wait to see more!! Oh yay! LOVE IT! You are so creative and SO Talented! I am VERY happy to see your comments in my blog !